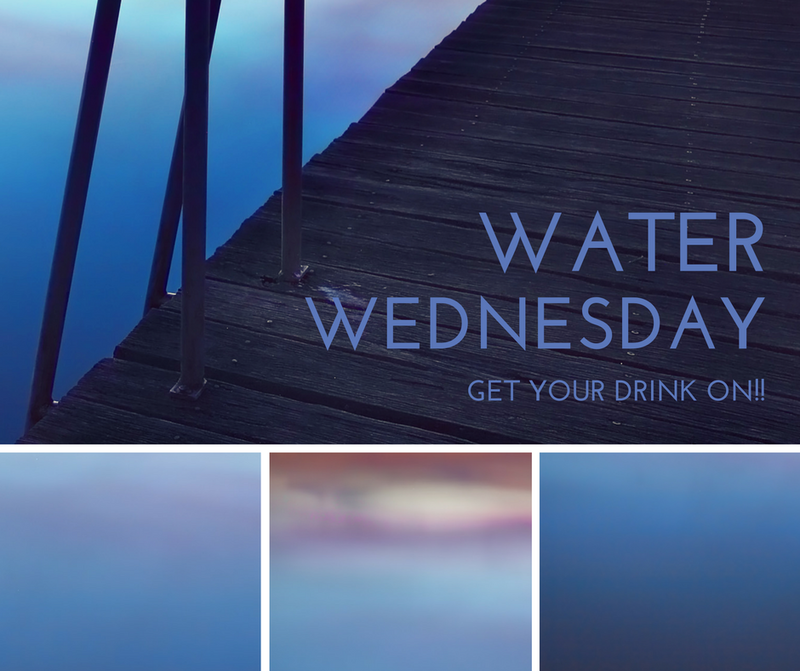 Water Wednesday! Are you drinking enough water? I will be the first to admit that I don’t drink enough water. There. I said it. I find it particularly tough in the winter months because I would rather be drinking something warm, creamy, and usually caffeinated. Coffee is lovely, but it actually works against your body when it comes to its water needs. Caffeine is a diuretic, which means you are losing water, not using water. 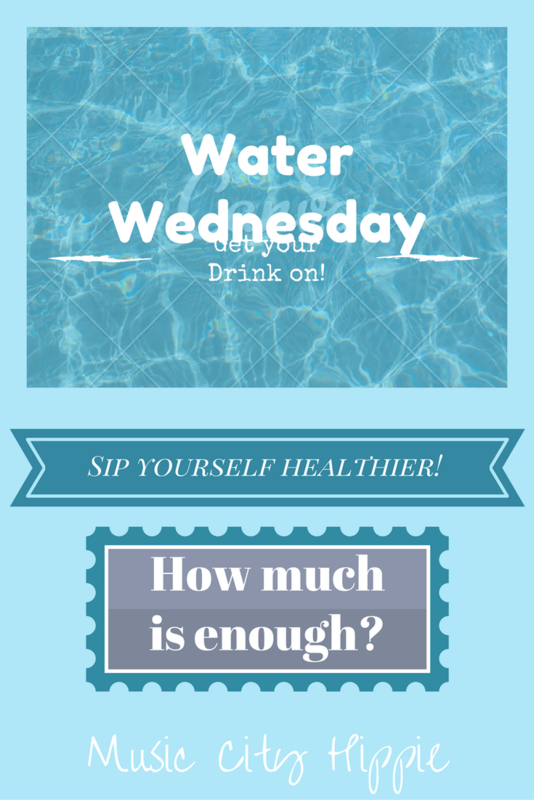 Today, I challenge you, and me for that matter, to get your water in on this Water Wednesday. I find that once I get a few days under my belt with drinking more water, I actually start to crave it! Not only that, but I find I don’t snack as much. I’ve had nutritionists tell me that often we mistake thirst for hunger. That means we need to drink water but we end up eating instead. Their advice was to drink 8ounces of water first, then see if hunger signals were still there. Admittedly, I forget to do this. An 8 oz glass of water can also help with a headache. A school nurse taught me that one. That’s all well and good, but, like I said, it’s only a start. How much you exercise or your level of daily activity can change that number. Obviously if you exercise a lot or do a lot of physical labor, especially in the heat, you should factor that in. Once you figure out your ounces of water per day, you will probably be shocked at how far below that amount you get on a daily basis. I know I was! Don’t wait until you are thirsty to drink water. We’ve all heard that one, but how do we make ourselves drink it? You make yourself drink it. Figure out how it appeals to you most. Ice cold? Fruit infused? A slice of lemon or lime? In a pretty glass? In a cool water bottle? Fizzy? What matters ,oat is that you have it available all the time. Make yourself take a few sips then a few more. Don’t try to drink all your water at once, you silly goose! That’s dangerous! There are even apps like Plant Nanny that remind you to drink your water. However you go about it, the important thing is to start. I challenge you! Drink more water. Feel better. Simple as that. Happy Water Wednesday!! Share what drinking more water has done for you (other than make you have to pee. ). Bottoms up! 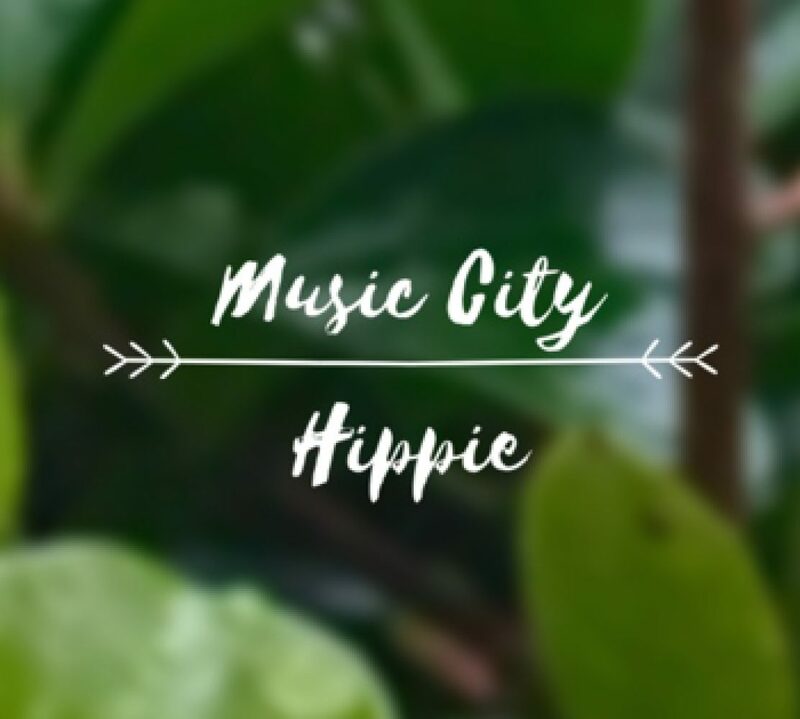 Remember to like, comment, follow, and share!